We propose a Cloud middleware designed for High performance Computing that takes advantage of federated clouds and other virtual resources and is also able to use classic HPC resources. Using DIET Cloud, we are able to deploy a large scale distributed HPC platform that spans on a large pool of resources aggregated from different providers. Moreover, using cutting edge advances in research, we are able to ease the usage of our platform and made the platform itself automatically adapt depending on user needs. Users will be able to submit large computational jobs as well as big data jobs without losing control of their data and by taking advantage of all resources they can access and doing this at a small cost. This section is based on the ongoing work in the DIET team and we introduce here a prototype (one of our goals). We want to open discussions and contribution around this topic, join us. In this Figure where the DIET hierarchical agent connection is represented by the DIET logo. 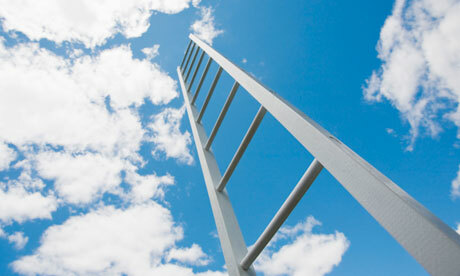 The aim of the SeD Cloud is to provide a component that deals with a large number of Cloud IaaS. Thus it hides the complexity and heterogeneity of the Cloud layer (using an API as Delta Cloud). the Delta Cloud API is a good solution. Nevertheless the DIET SeD Cloud could be interfaced with different APIs if it is required but we try to minimize the number of interface through the good choice of API. DIET can benefit from the IaaS capabilities and manage Virtual Machines. Nevertheless Virtual Machine management decisions will be taken according to the scheduler and the required SLA (Service Level Agreement). 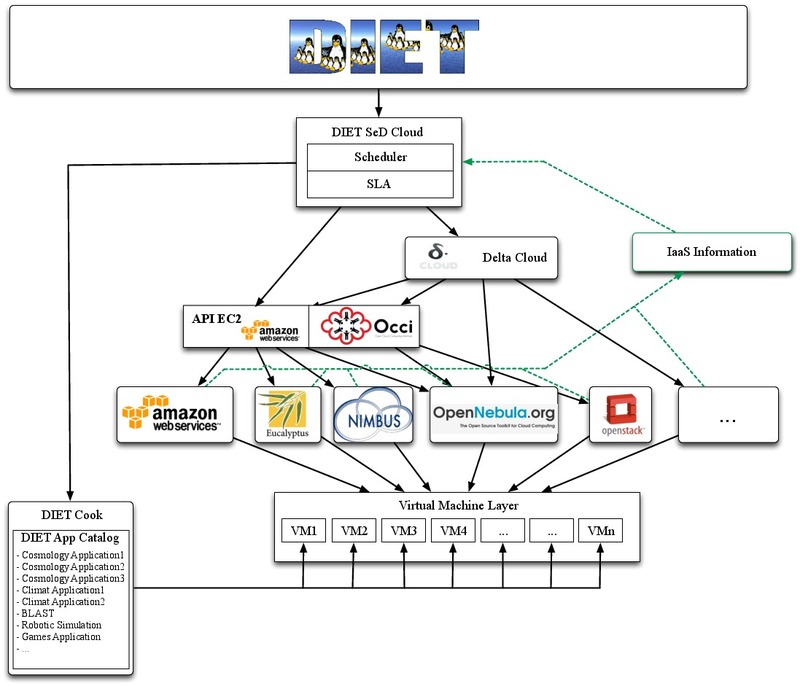 DIET has successfully interacted with Amazon EC2, thus the feasibly of this approach was validated (see DIET with Amazon EC2 web page for more information). Delta Cloud increases the amount of supported Cloud platforms. deploy a service on a cloud or a federation of clouds and be a service administrator. If the user acts as a client : he invokes the service like a standard service deployed in the grid, i.e with a classical diet_call(diet_profile). the SeD Cloud provides to the client the services cited above. 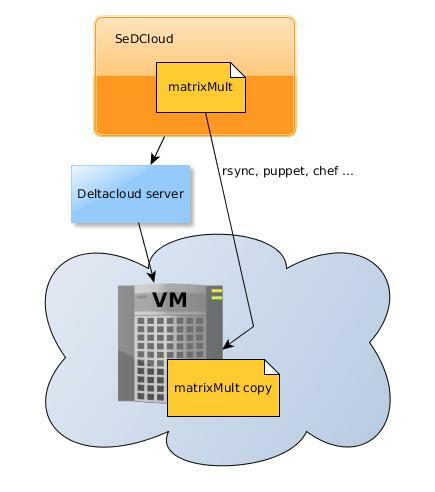 The SeD Cloud offers interfaces to deploy services in virtual machines with tools like Chef or Puppet ; by default the SeD Cloud uses ssh/rsync/scp. Besides, we Introduce the notion of « CloudServiceBinary » which is a executable defined by the designer of the SeD Cloud and is intended to run in one virtual machine of the Cloud. 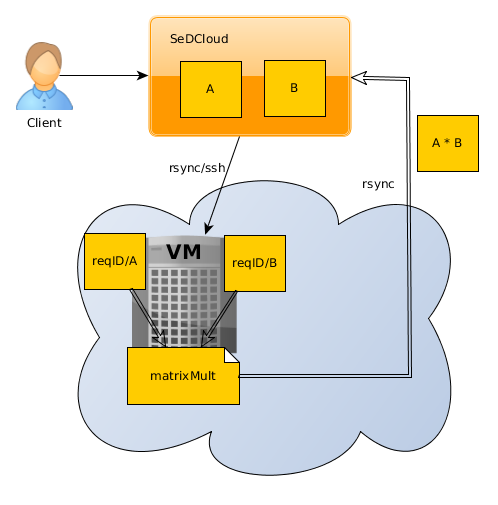 The bellow illustration shows that a SeD Cloud offers a matrix multiplication as a service and the correponding CloudServiceBinary’s name is matrixMult. As we can see the CloudServiceBinary is firstly copied in one virtual machine. The following scheme shows the execution of the CloudServiceBinary « matrixMult » ; when a client wants to perform a matrix multiplication, he make a classical diet_call with two files : matrices A and B. These two files a then copied to a specific folder (corresponding to the DIET request ID) in the virtual machine and the CloudServiceBinary performs the operation and sends the result back to the SeD Cloud.